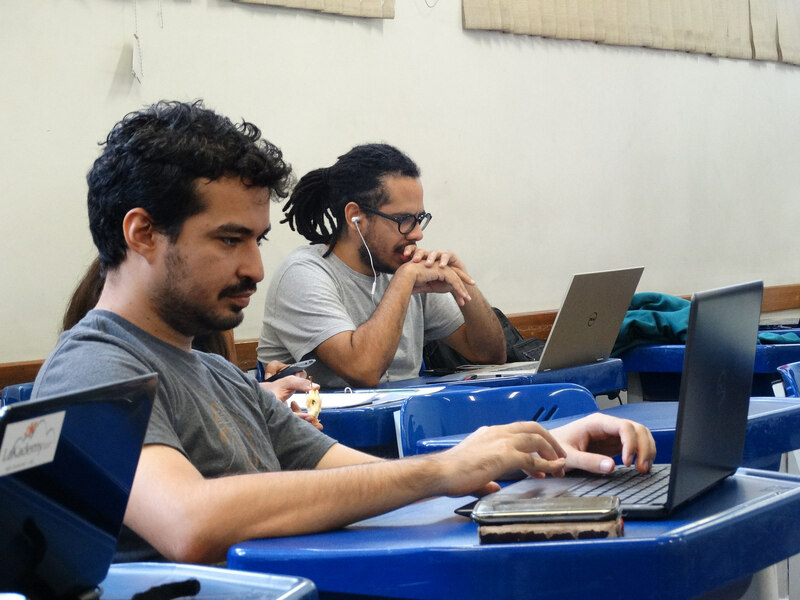 Some weeks ago we had the fifth edition of the KDE Latin-America summit, LaKademy. Since the first edition, KDE community in Latin-America has grown up and now we has several developers, translators, artists, promoters, and more people from here involved in KDE activities. This time LaKademy was held in Belo Horizonte, a nice city known for the amazing cachaça, cheese, home made beers, cheese, hills, and of course, cheese. The city is very cosmopolitan, with several options of activities and gastronomy, while the people is gentle. I would like to back to Belo Horizonte, maybe in my next vacation. LaKademy activites were held in CEFET, an educational technological institute. During the days of LaKademy there were political demonstrations and a general strike in the country, consequence of the current political crisis here in Brazil. Despite I support the demonstrations, I was in Belo Horizonte for event. So I focused in the tasks while in my mind I was side-by-side with the workers on the streets. Like in past editions I worked a lot with Cantor, the mathematical software I am the maintainer. This time the main tasks performed were an extensive set of reviews: revisions in pending patches, in the bug management system in order to close very old (and invalid) reports, and in the task management workboard, specially to ping developers with old tasks without any comment in the last year. There were some work to implement new features as well. I finished a backends refactoring in order to provide a recommended version of the programming language for each backend in Cantor. How each programming language has its own planning and scheduling, it is common some programming language version not be correctly supported in a Cantor backend (Sage, I am thinking you). This feature presents a “recommended” version of the programming language supported for the Cantor backend, meaning that version was tested and it will work correctly with Cantor. It is more like a workaround in order to maintain the sanity of the developer while he try to support 11 different programming languages. Other feature I worked but it is not finished is a option to select different LaTeX processors in Cantor. Currently there are several LaTeX processors available (like pdflatex, pdftex, luatex, xetex, …), some of them with several additional features. This option will increased the versatility of Cantor and will allow the use of moderns processors and their features in the software. I addition to these tasks I fixed some bugs and helped Fernando Telles, my past SoK student, with some tasks in Cantor. (Like in past editions)², in LaKademy 2017 I also worked in other set of tasks related to the management and promotion of KDE Brazil. I investigated how to bring back our unified feed with Brazilian blogs posts as in the old Planet KDE Português, utilized to send updates about KDE in Brazil to our social networks. Fred implemented the solution. So I updated this feed in social networks, updated our e-mail contact utilized in this networks, and started a bootstrap version of LaKademy website (but the team is migrating to WordPress, I think it will not be used). I also did a large revision in the tasks of KDE Brazil workboard, migrated past year from the TODO website. Besides all this we had the promo meeting to discuss our actions in Latin-America – all the tasks were documented in the workboard. Of course, just as we worked intensely in those days, we also had a lot of fun between a push and other. LaKademy is also a opportunity to find old friends and make new ones. It is amazing see again the KDE fellows, and I invite the newcomers to stay with us and go to next LaKademy editions! This year we had a problem that we must to address in next edition – all the participants were Brazilians. We need to think about how to integrate people from other Latin-America countries in LaKademy. It would be bad if the event become only an Akademy-BR. So, I give my greetings to the community and put myself in the mission to continue to work in order to grown the Latin-America as an important player to the development and future of KDE.